From quotas to funding, what's the answer? Efforts to improve female representation in politics have often focused on quotas and reserved shares. What is really needed is a nuanced approach that tackles the underlying, interconnected barriers that women face in getting nominated for elected office and conducting successful campaigns. A record number of American women are running for elected office in 2018, many of them motivated by outrage over US President Donald Trump’s policies and attitudes. But running is not winning, and outrage alone cannot produce the kind of steady progress needed to achieve political equality. To produce a substantial increase in the number of women in Congress, changes that run deeper than the current electoral “pink wave” will be needed. With only 19.3% female representation in the House of Representatives and 23% in the Senate, the United States currently ranks 103rd in the world in terms of women’s representation in national legislatures. To improve its record, the US should look to countries with greater gender parity. 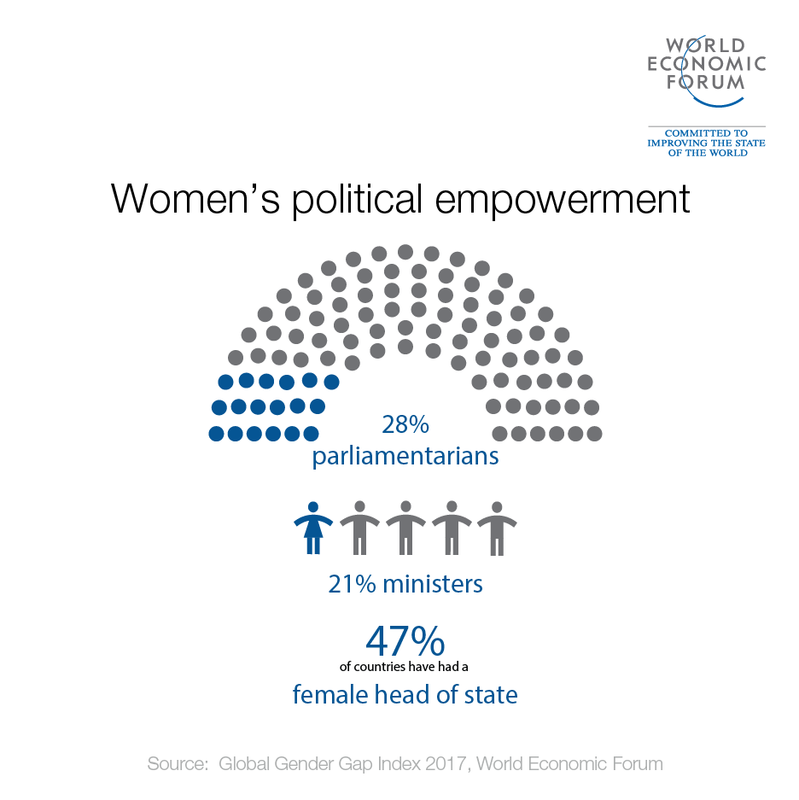 At the top of that list is Rwanda, where women make up 61.3% of the lower house and 38.5% of the upper house. In 2003, the country adopted a new constitution that reserves 30% of parliamentary seats for women and requires political parties to ensure that women hold at least 30% of elected internal positions. France is one of 49 other countries that also have statutory quotas or reserved seats for women. Such quotas may, however, be unnecessary. In seven of the top ten countries for female representation, political parties have voluntarily implemented their own rules on the matter. Globally, over 100 political parties in 53 countries have voluntary measures in place to increase the number of women candidates and party officials. But, legislated or not, quotas can be controversial. Some claim that they are undemocratic. There is no doubt that they are a blunt instrument. Can we do better? A more nuanced approach would focus on eliminating the underlying, interconnected barriers that women face in getting nominated for elected office and conducting successful campaigns. Such obstacles include the election system itself (women fare better under proportional representation than they do in first-past-the-post systems based on single-member districts); lack of access to financing; weaker professional networks; and outside responsibilities that make it harder to take on punishing and unpredictable working conditions. Overcoming such structural barriers requires a comprehensive strategy for supporting women candidates. One of the most powerful tools is money. In many countries, the cost of campaigning is becoming prohibitively high for most aspirants, regardless of gender. But women seem to have it worse than men. In a 2008 survey of 292 parliamentarians around the world, the Inter-Parliamentary Union found that female MPs viewed lack of finance as a more significant deterrent to entering politics than their male counterparts did. This problem is particularly pronounced in the US, where parties and candidates can spend almost unlimited amounts to get elected. Wealthy candidates (usually men) finance their own campaigns, with some women, such as Nancy Pelosi and Dianne Feinstein, relying on their husbands’ fortunes. Overall, this system disadvantages women. Fortunately, some countries are introducing innovative measures to address this problem. In Georgia, for example, political parties that include at least 30% of each gender on their electoral lists receive a 30% supplement from the state budget. Similarly, in Ireland, political parties lose 50% of their state funding if their candidate pool includes less than 30% of either gender. Beyond financing constraints, women face high social and cultural barriers to political participation. In particular, greater care obligations, reinforced by public perceptions of a “woman’s role,” severely undermine women’s ability to run for public office. These issues are difficult to address directly. One step that could help would be for male politicians to assume more care responsibilities, thereby making the playing field more level, while demonstrating that family is a high priority for everyone. Likewise, new mothers should be able to bring their children to work. In 2015, a photo of Argentinian MP Victoria Donda Pérez breastfeeding while taking part in a parliamentary hearing went viral, as it demonstrated the commitment, capabilities, and challenges of working mothers. Such challenges were exemplified by the experience of Madeleine Henfling, a member of Germany’s Thuringia state parliament, who last month was barred from entering the legislative chamber with her six-week-old baby. Concrete policies should also be put in place to support working parents, by giving them more flexibility to meet family responsibilities. That is why the United Kingdom’s House of Commons is considering introducing proxy voting, as part of a broader effort to give members – male and female – parental leave. Women may also benefit from targeted training. UN Women’s recent Political Academy in Tunisia trained women candidates on local governance, the missions and roles of municipal councils, and media relations. Some may one day follow in the footsteps of Souad Abderrahim, who was elected the first woman mayor of Tunis with the support of the Islamist Ennahda Movement. How can we keep increasing the number of female politicians? Which countries have had a female leader? Some leaders have made powerful statements in support of greater female participation in government. In 2015, Canadian Prime Minister Justin Trudeau gave his country its first cabinet with an equal number of men and women. His Spanish counterpart Pedro Sánchez has gone a step further, appointing a cabinet where women outnumber men. Political parties, which serve as gatekeepers for aspirants to public office, also have significant power to find creative ways to support women candidates. Nigeria’s two main parties, for example, will waive or reduce non-refundable nomination fees for the 2019 general election. One Cambodian party provides women candidates with basic campaign resources, including clothing and a bicycle. In past Canadian elections, political parties have reimbursed women candidates for child-care and travel expenses, and provided subsidies to women seeking nomination in constituencies where a male incumbent is retiring. The New Democratic Party and Liberal Party have endeavored to have women candidates run for “winnable” open seats.